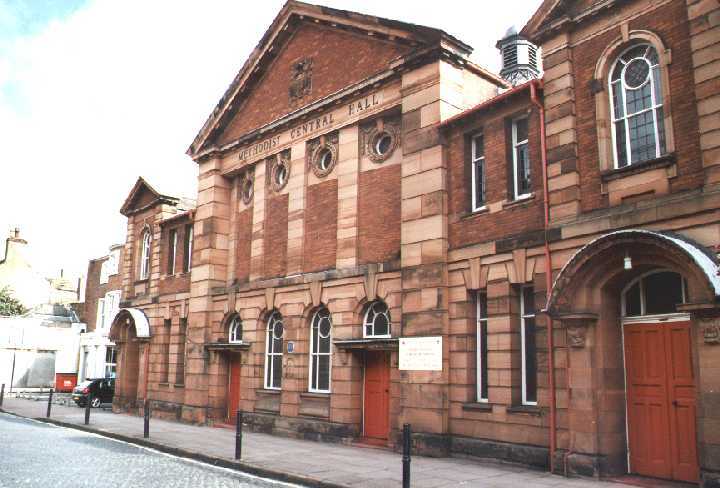 The Methodist Central Hall in Fisher Street, Carlisle, built during Romany’s ministry there (click to enlarge). As the Reverend George Bramwell Evens, Romany had various ministries – including Goole, Carlisle, Huddersfield and Halifax. One of his best-known churches is the Methodist Central Hall in Fisher Street, Carlisle. Romany was minister in Carlisle from 1914 to 1926, and had raised funds for the building of a new methodist church. The magnificent building now standing in Fisher Street was opened in 1923, a triumph for the Rev Evens, his congregation, and their benefactor, Joseph Rank.